BILA RAKUS TERHADAP ALAM, KINI IA MEMBALAS – MENYERANG KITA ! 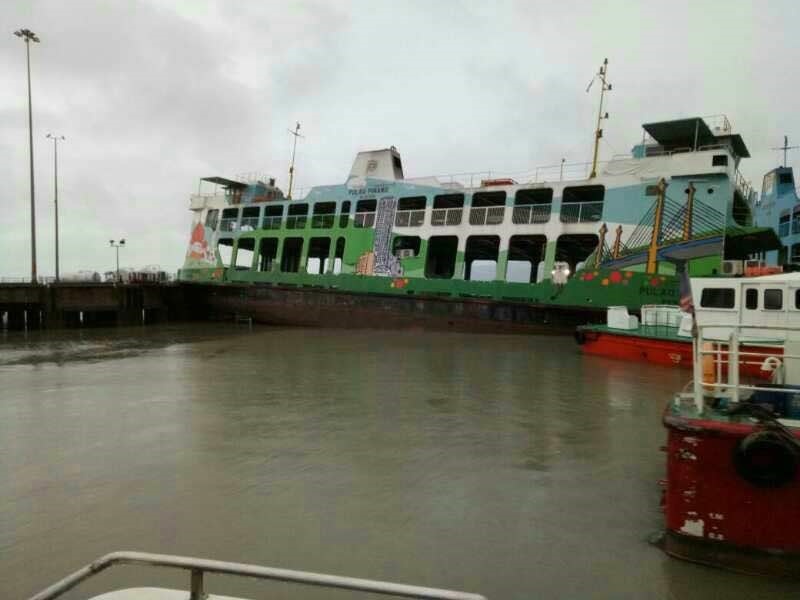 Penang’s nightmare: The morning after…5 Nov 2017…..And so it has come to pass… reports of damage all over after a relentless overnight storm battered Penang. 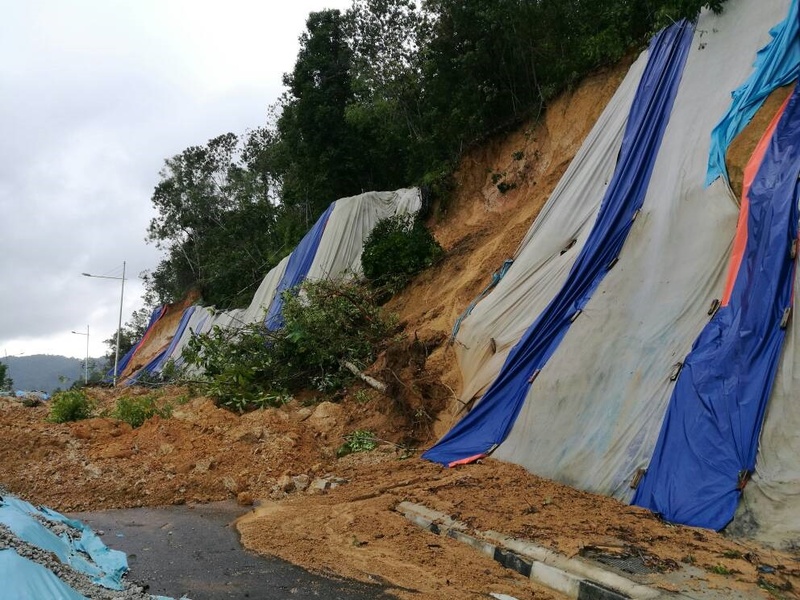 Near Straits Regency, behind Surin, in Tanjung Bungah, a dangerous road has collapsed. How safe are such road and retaining walls, when water pressure builds up on the slopes? This is the same site that had a landslide in 2014. Back then someone had noticed that the angle of the slope was vertical or about 90 degrees. Nearby residents said that when it rained, water gushed all over. Someone even reported the matter to MBPP. 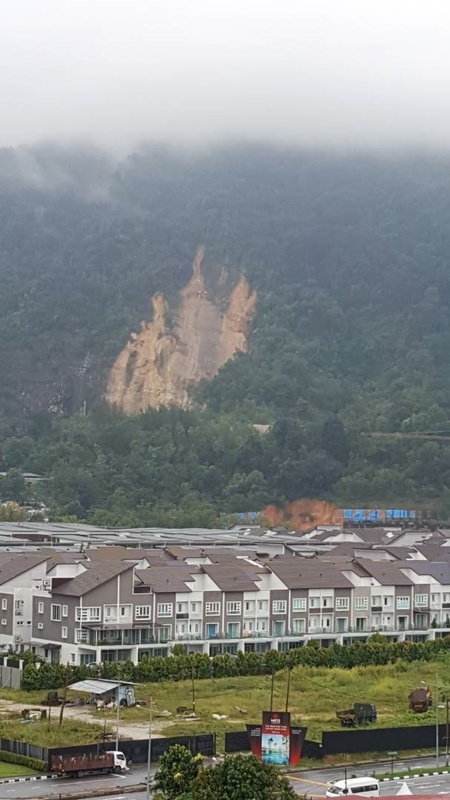 When the landslide hit Penang further east on 21 October, I reported that another nearby resident had expressed concerned about the sound of a waterfall at this spot near Surin. 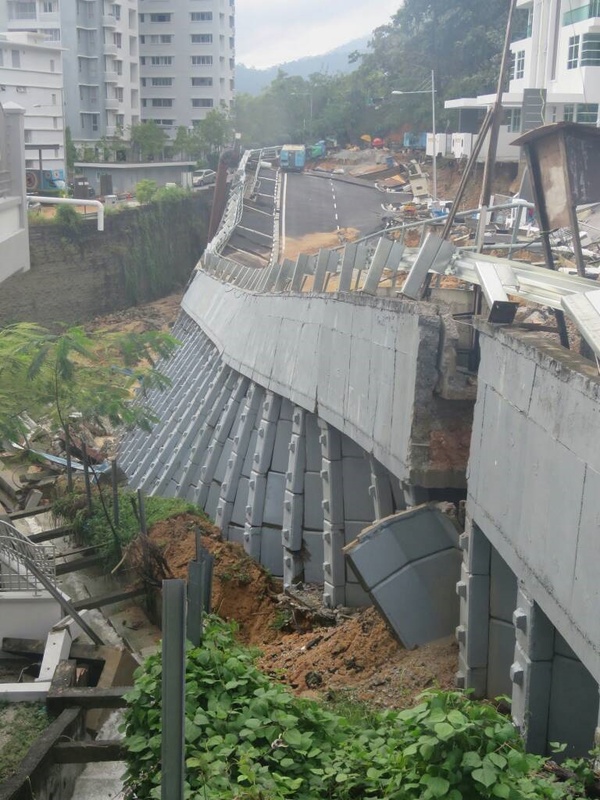 What happened to those expert engineers and consultants who want us to believe that hill-slope development in Penang these days is safe and it is not a ticking time bomb? Please-lah. People’s lives are at stake. Do they still want to build the paired road on the hills from Batu Ferringhi to Tanjung Bungah? And the RM8bn six-lane Pan Island Link highway that will hug the hills from the north to the south of Penang Island? God help us. Meanwhile, the media are focusing almost entirely on the flooded streets, ignoring the fact that a significant volume of the water is coming from surface run-off from cut or concretised hill slopes, the water and debris then accumulating downstream in raging torrents, spilling over river banks. Even the tiny brook along Brook Road burst its banks while nearby at the Turf Club, the hill-sides have been cut, concretised and tarred for property development. During Penang Forum 8, Penang Forum’s Dr Kam Suan Pheng highlighted how Air Itam River, which is met by Waterfall River (Sungai Air Terjun), and Jelutong River further downstream have been practically strangled. The river reserves have been encroached upon by property development; so is it any wonder when the water overflows onto the roads? 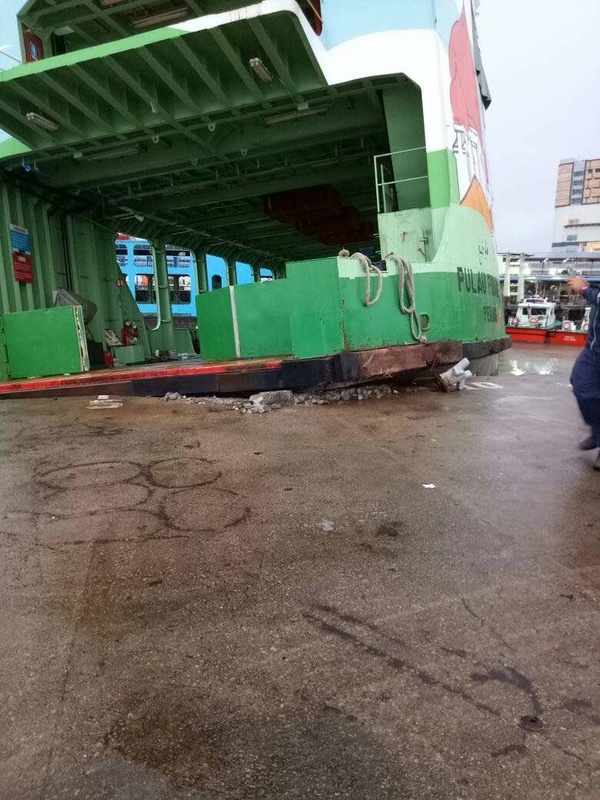 And what’s happening to our ferries? Looks more like Venice to me. At this rate, we should have gondolas as a form of public transport! Tremendous hardship all over Penang as so many people’s homes are messed up. Even those living in high-rise apartments have had to deal with strong winds and rain battering their windowpanes and flooded balconies overflowing into their homes. Full credit to those who are helping out with the victims, bertungkus-lumus. So how many months of rainfall was it in a single day? Get used to it. Can anyone – apart from Trump – doubt that climate change is upon us? How about checking out this Aliran talk on Climate Change on Tuesday, 21 November? 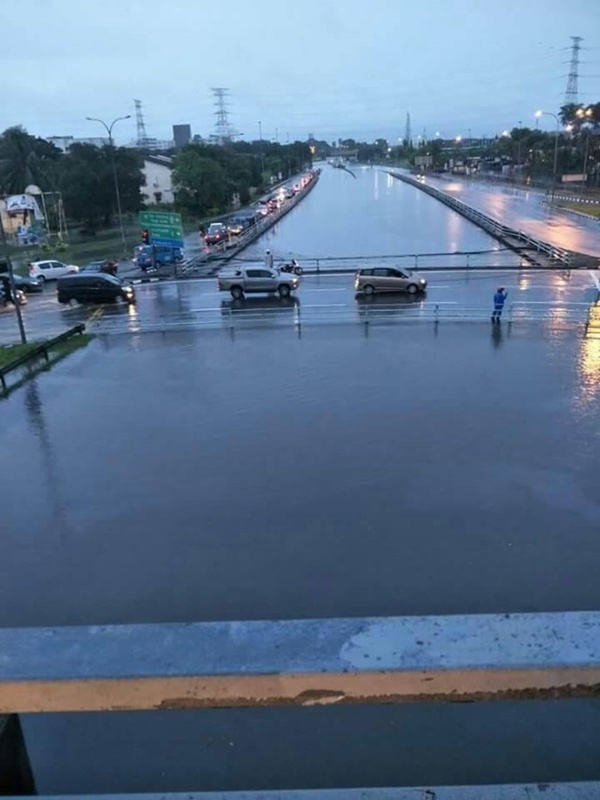 The federal government should give Penang whatever is due for flood mitigation – and then some. It would be scandalous, unconscionable and outrageous to withhold any funds that could ease the people’s suffering. Unfortunately, flood mitigation projects are just remedial measures and can only go so far, as pointed out in Penang Forum 8 exactly a week ago. 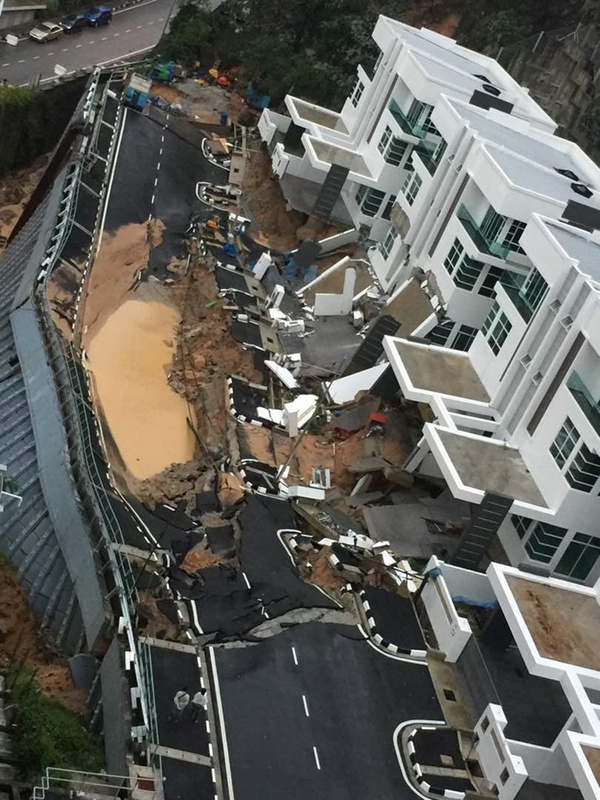 Over-development (unsustainable development), hill-slope degradation and the paving over of permeable surfaces are among the causes of flooding. Can you imagine – the state government has increased the maximum density allowed more than four-fold in the last decade – from 30 homes per acre to 128 homes per acre last year (180 homes per acre for low-cost homes) – a move which must have delighted the developers. Who increased it – and on what legal basis? For instance, under the Penang Structure Plan, a legally enforceable document, Tanjung Bungah is allowed a maximum density of 15 homes per acre only. But then we saw plans for 980 homes in two 50-storey towers. How was this done? What happened to the detailed Penang Island Local Plan, which was approved by the full council of the MPPP in early 2008 under the previous BN administration and then endorsed later that year (with minimal changes) by the MPPP under the new Pakatan administration? Why was it never put up on public display for feedback and then gazetted? Who held it back? This is something that the state commission of inquiry must look at. Has the Penang Structure Plan, now being reviewed, taken into account climate change? If not, it should be sent back to the drawing board. Seriously. This blog tried hard over the last decade to warn that we should go easy with rampant property development and hill-clearing, that we should minimise the pouring of concrete and asphalt on our green spaces. Penang Forum and other concerned groups and individuals tried too. But mostly our calls fell on deaf ears. We too must share some responsibility. Some of us have paved the gardens we were fortunate to have in our homes. In our places of worship, schools and offices, almost every single green space we might have, we want to pour cement on it or put up a new structure. We clamour for road-widening, narrowing the space for the roots of trees to breathe and anchor themselves, as the trees get wedged between drains on one side and roads on the other. When are roads get congested, rather than considering public transport as a viable option, we expect more new highways. 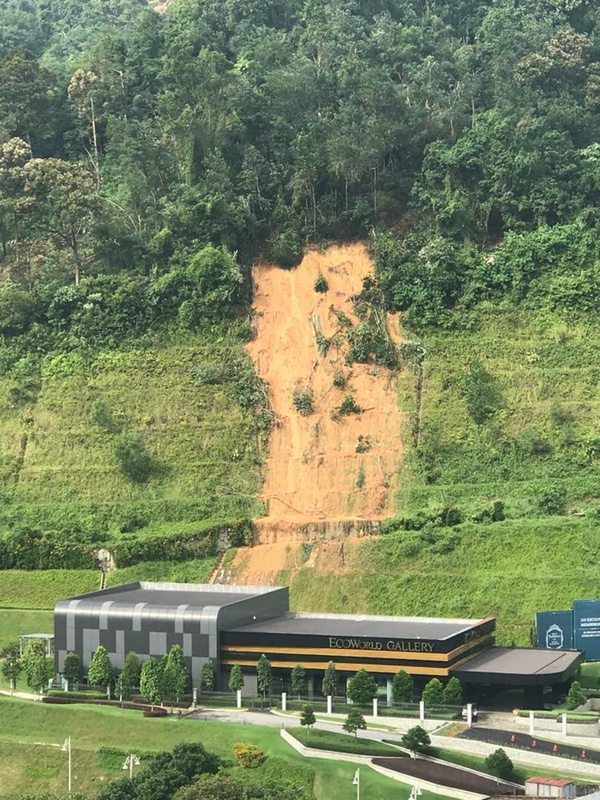 Hopefully some lessons would be learned – that we cannot go on at this pace of frenzied property development (especially given that the Penang population is increasing only minimally), that we should protect our hill slopes, green spaces and natural habitat which can help absorb rainwater and surface run-off. If not, the consequences could be even more dire. Previous Previous post: BENARKAH DAP ITU BUKAN DEMOCRATIC ACTION PARTY TETAPI DEVELOPMENT ACTION PARTY ?